Good grief! Can any other set of words have produced such a depressing result? In any event, it all flowed together and wrote itself, whether I was happy about it or not. . . Mine is up, but not with Mr. L! 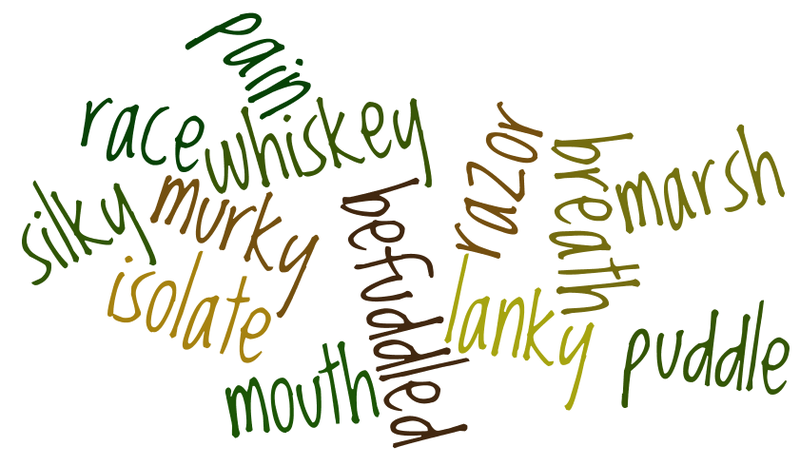 Amazing words for this week’s whirl……….love the whiskey marsh……………just imagine! Good morning wordlers. Happy Sunday to all. p.s. Brenda, please remove the first link, it is not correct, thanks. Where is it? I haven’t found your Wordle yet, but I liked the other things I found!